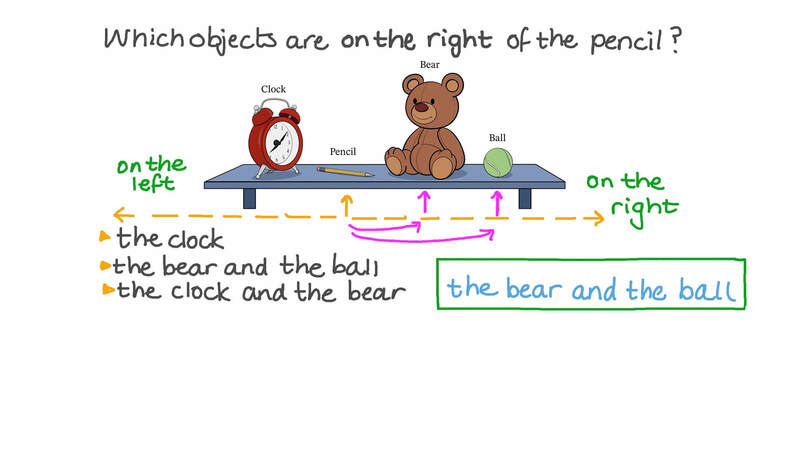 In this lesson, we will learn how to use the words “left,” “right,” “next to,” and “between” to describe the position of objects relative to each other in a picture. Which objects are on the right of the pencil? 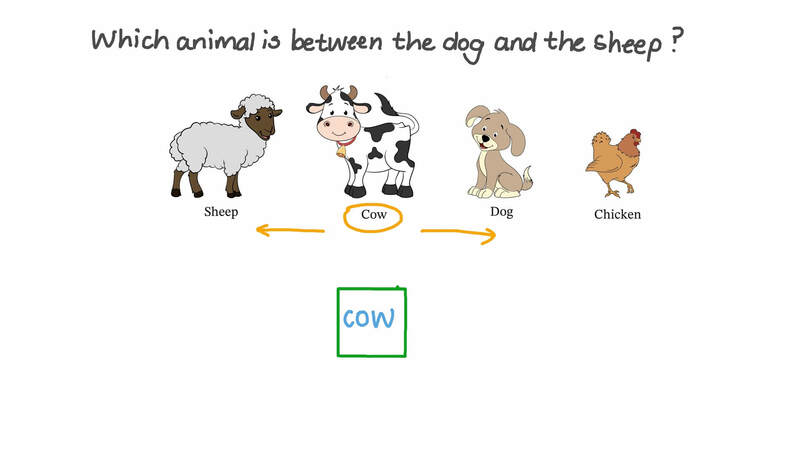 Which animal is between the dog and the sheep? Which animal is on the left of the cow?